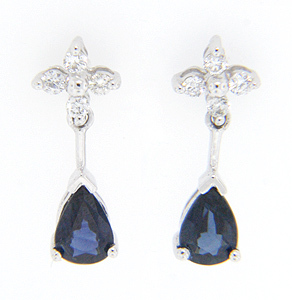 Pear shaped blue sapphires dangle from these 14K white gold antique style earrings. Clusters of four diamonds grace the top of the earrings. Set on posts, the earrings measure 5/8” in height by 1/4” in width.